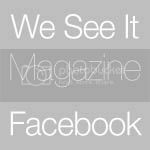 After the overwhelming sucess of We See It | Vol 1 (thank you readers + contributors!) we would now like to open submissions for Vol 2. We have already had some amazing photographers get involved, but are open to more! We would really love some Illustrators/Bloggers/ Writers + Designers to get in touch! We also have openings for editorial submissions. Vol 2 will have a slightly dark asthetic so keep that in mind when submitting! Photographers, artists, designers, illustrators, writers, We Want You! Fashion editorials, collections, stories, we want to showcase your talent! Please email your a link to your blog and include a brief description of yourself and your idea for a story/ article. We want to feature you too! Email some high res images and a description of yourself and your work to us! Remember to include a link to your blog or site. We want to feature interviews with all kinds of creatives. Please email us and tell us about yourself and what you do. Include a link to your portfolio. We want Fashion Editorials! but would love them unpublished, which means we would prefer if they havent already been put up on flickr, websites, facebook, blogs or other magazines. Editorial stories with strong use of styling and good execution will be considered. Clothing used in the editorials does not have to be independent or top designers, work with what you have and keep the focus on the styling and the art!! 1. Brief description of yourself and your work. 3. Credits to all people involved in the production eg. Model, MUA, Designer, Stylist etc. Please send jpeg or pdf files, no zipped files. If you have something to include that doesnt fit in with our guide here, please just drop us a mail and we will try to respond.